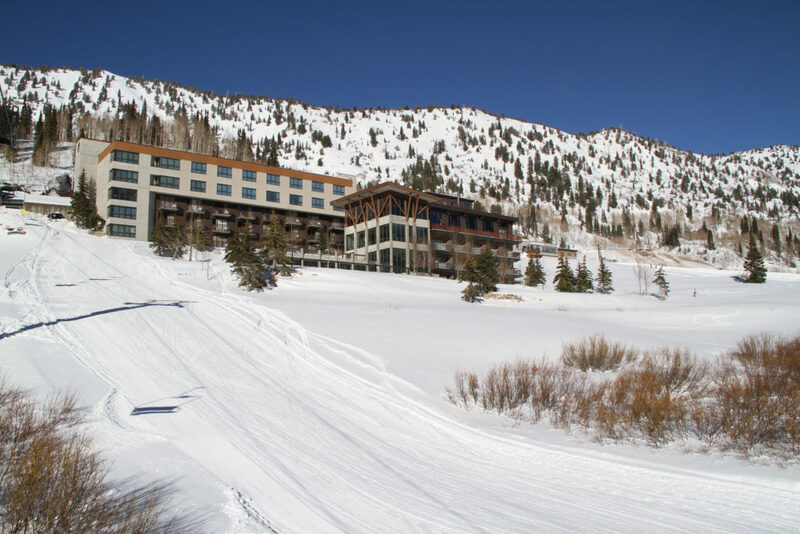 No snowboarders allowed (one of 3 left in North America) – Keeping it Pure! 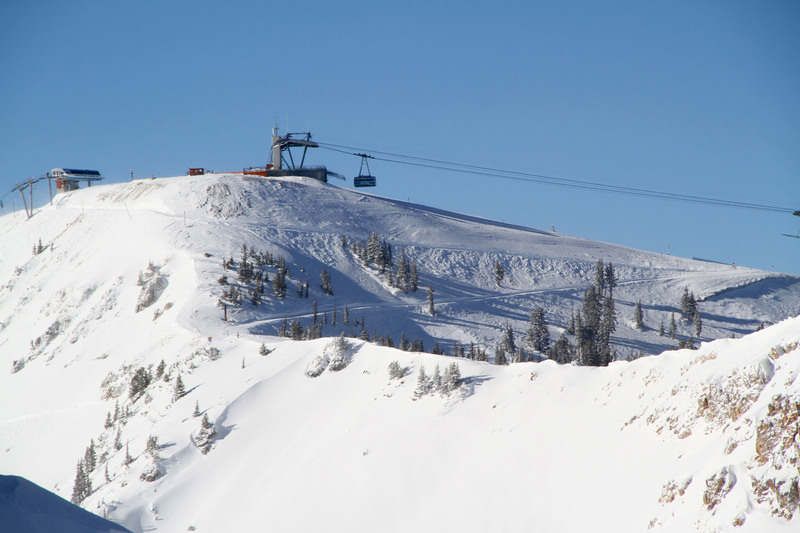 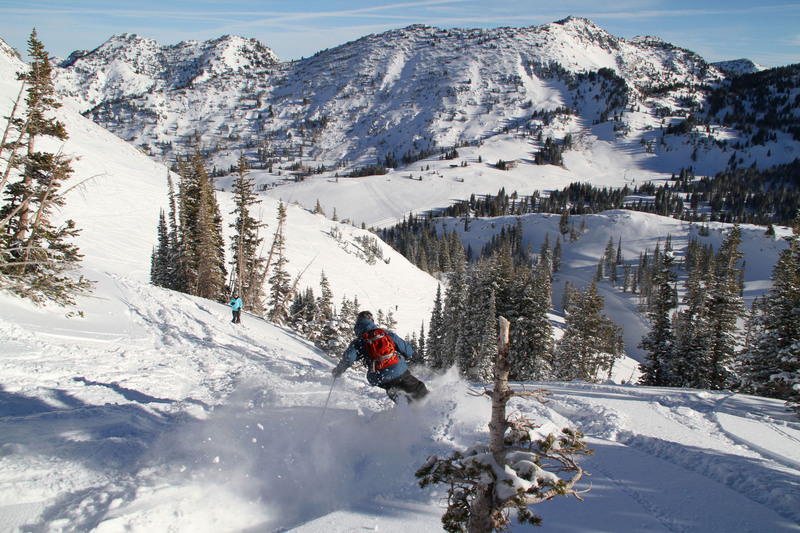 Alta is a skiers’ paradise, it’s a 2,200 acre skiers’ playground that interconnects with Snowbird. Alta is a classic, now snowboarders allowed, this time revered terrain is hearty and homey, with some old lifts and some new, same goes for the clientele – core Altans are a bit crusty, but the cool young skiers have discovered Alta’s great terrain too. 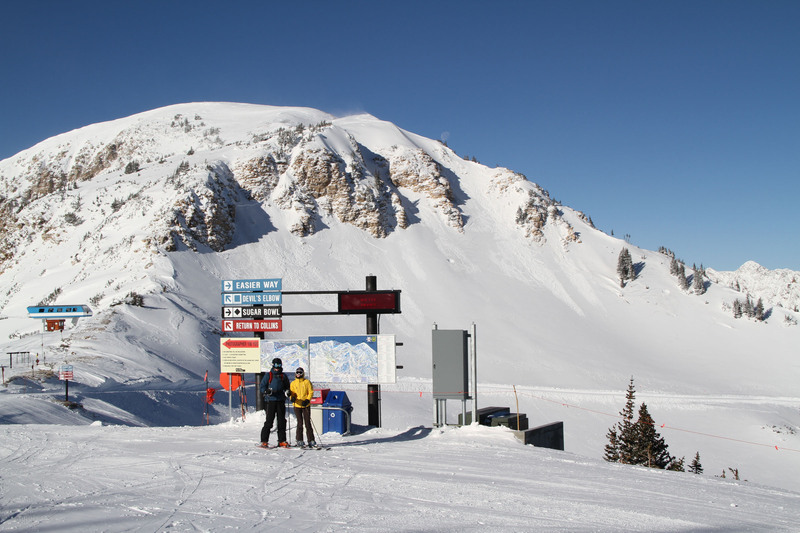 Since 1939, when it cost $.25 for single chair rides, Alta attracts the best skiers in the world for the venerable steep chutes and wide open powder bowls. 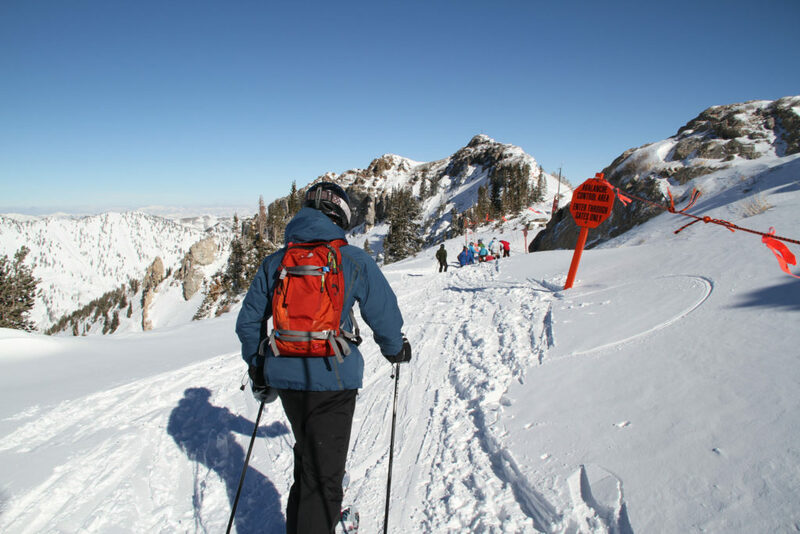 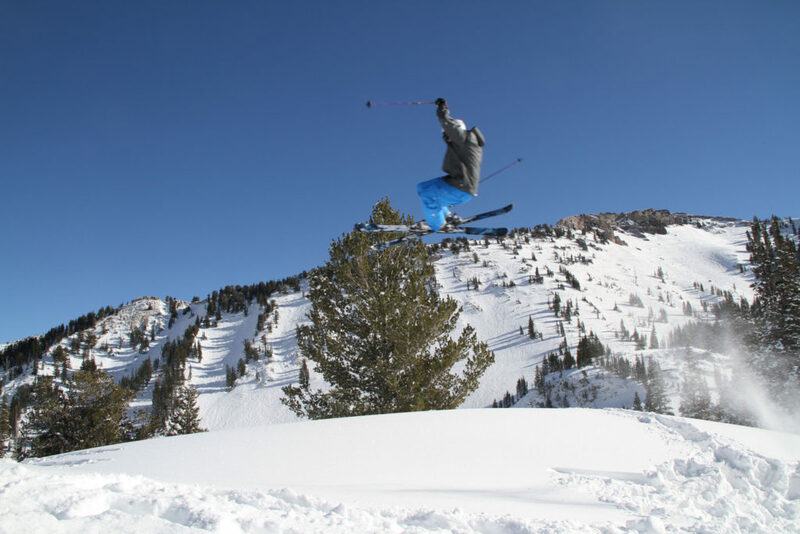 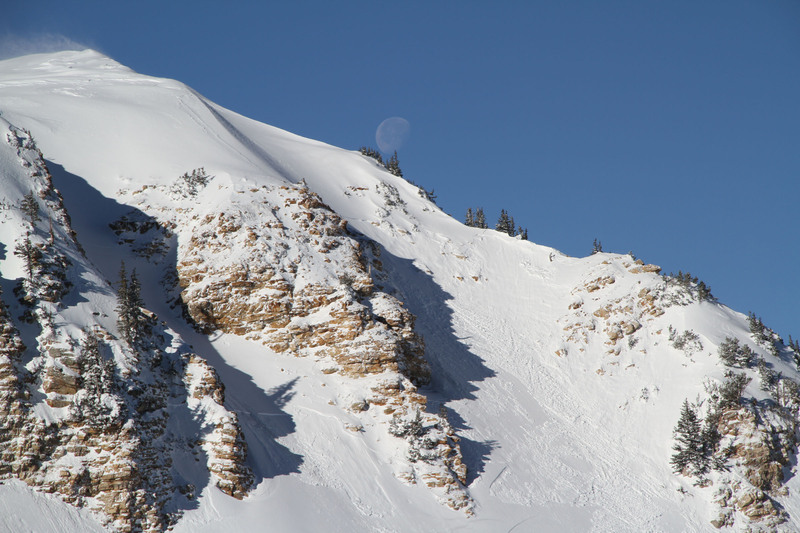 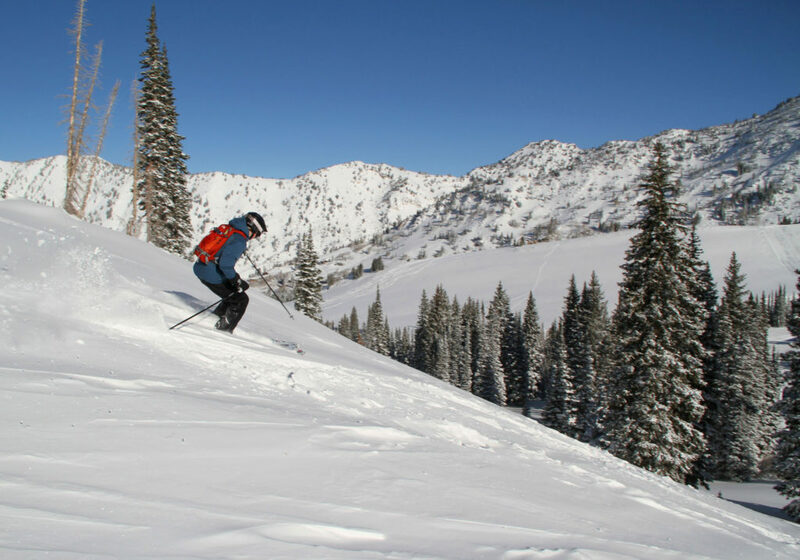 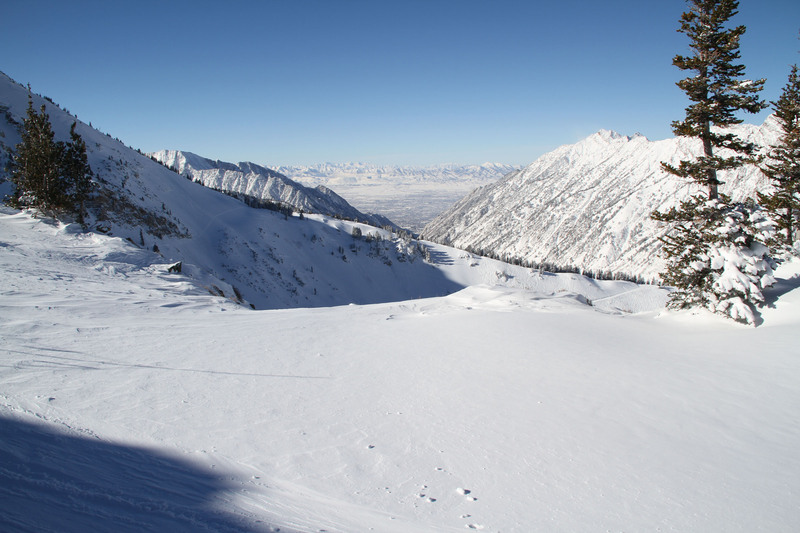 Alta gets over 500 inches of snow annually of Utah’s patented “greatest snow on earth,” just 45 minutes to the major Salt Lake City airport up Little Cottonwood Canyon. 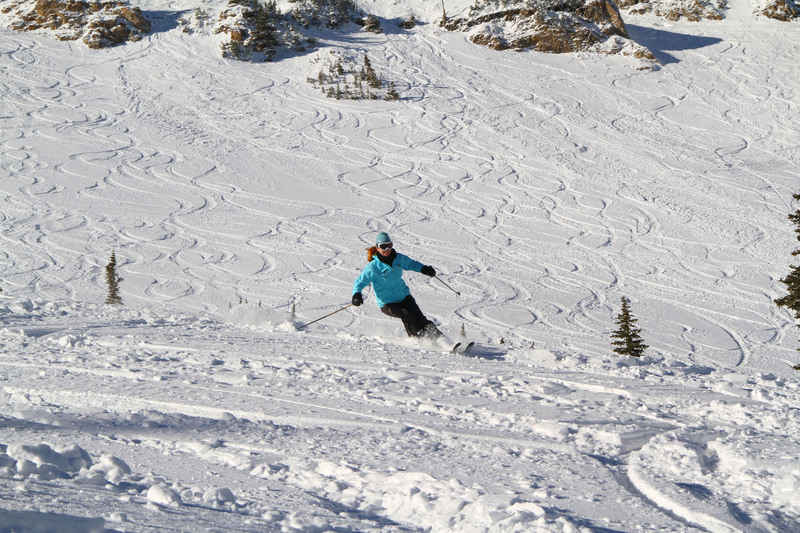 Its big mountain skiing, close to a major metropolis. 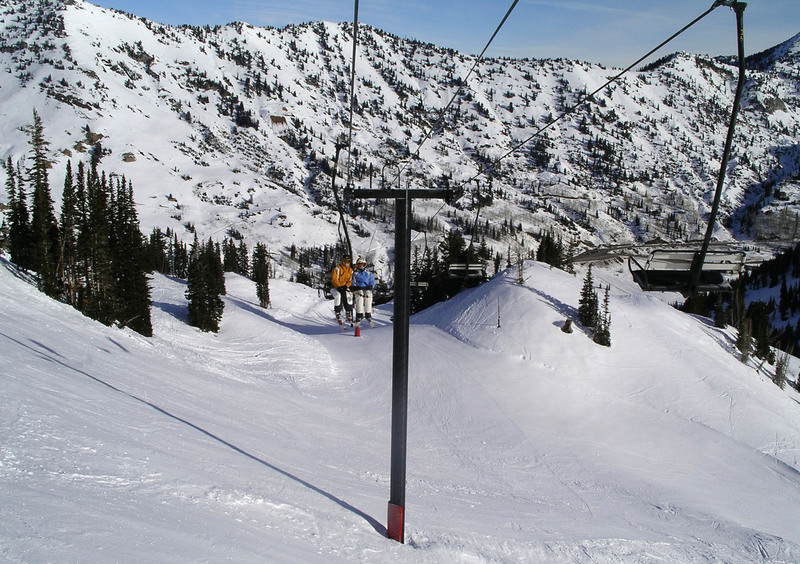 Alta’s terrain is vast particularly in Ballroom and Greely’s, but there are plenty of groomed cruisers too, served by a lift system that has been upgraded in recent years to include three detachable chairs. 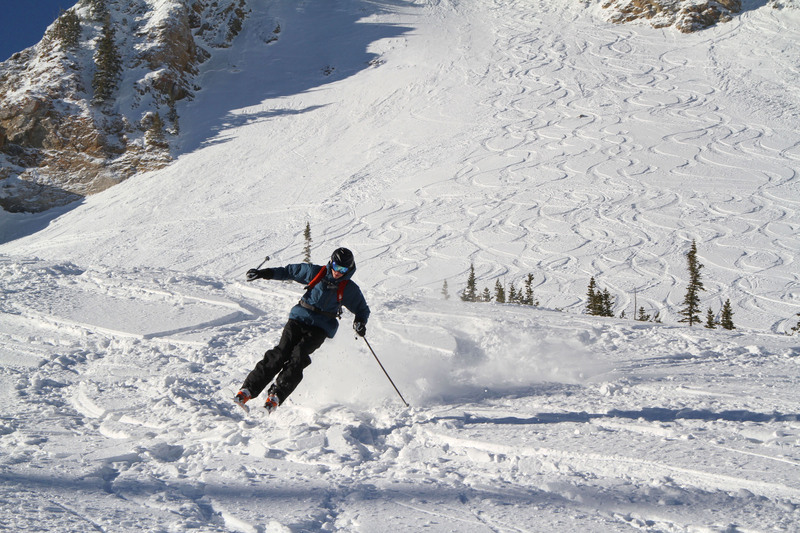 Alta has 116 named runs, but you can find new variations all season long. 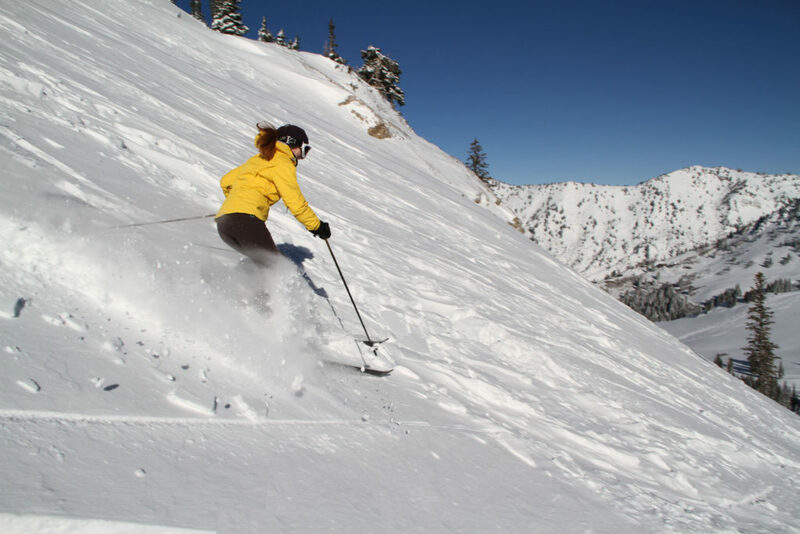 Snowbird and Alta are interconnected, so you can ski all 4,700-acres in a day with a combine lift ticket – the possibilities are knee numbing…. 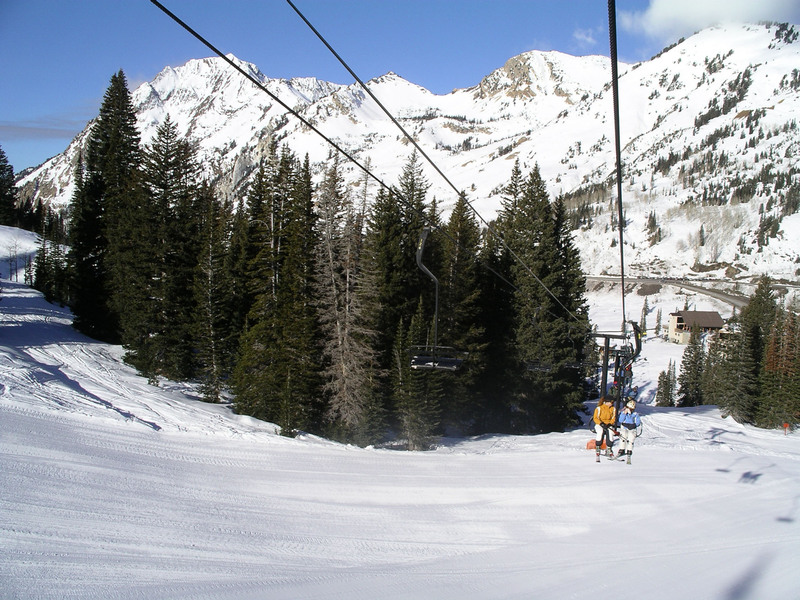 Snowboarders keep testing Alta’s ban on boarding, a 2014 lawsuit by snowboarders questioned how US Forest land use could be selective, or exclusive to elitist skiers. 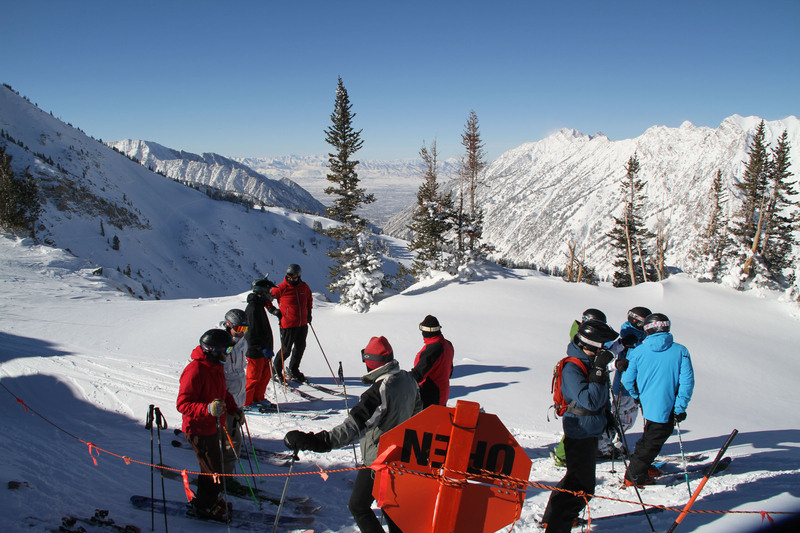 The court ruled that the case has yet to show merit and continues to Alta to proclaim itself a skiers-only mountain. 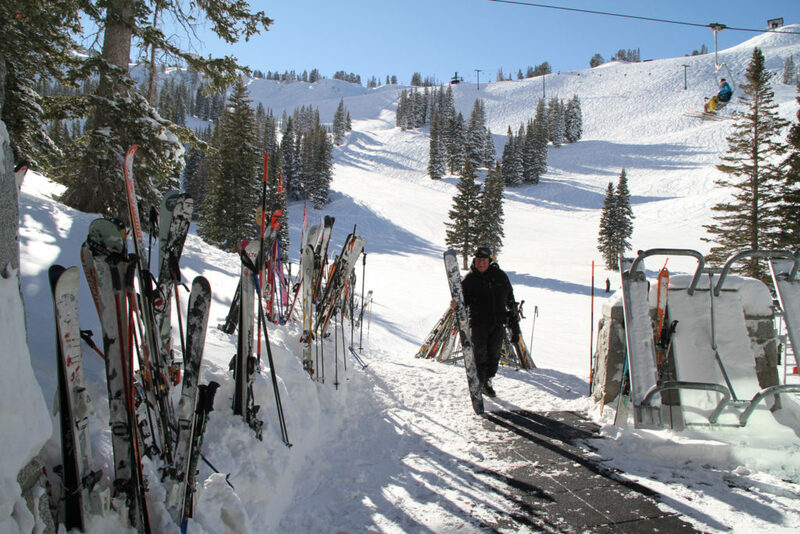 Sorry shredders, don’t come knocking at Deer Valley either. 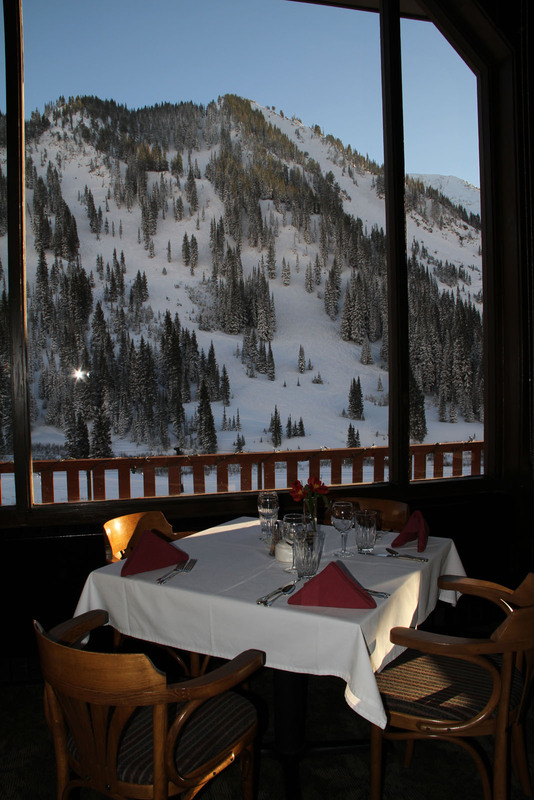 For upscale, on mountain lunch at Alta, ski into Watson’s Shelter for a linen table lunch upstairs at Collin’s Grill. 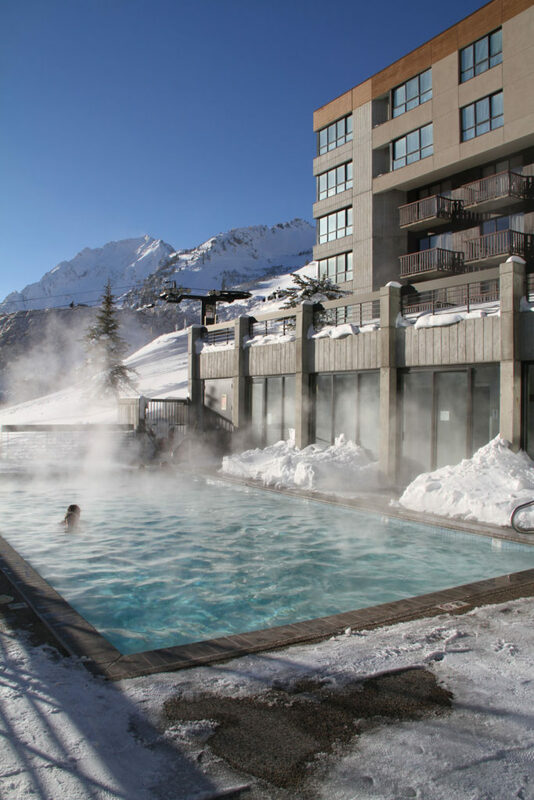 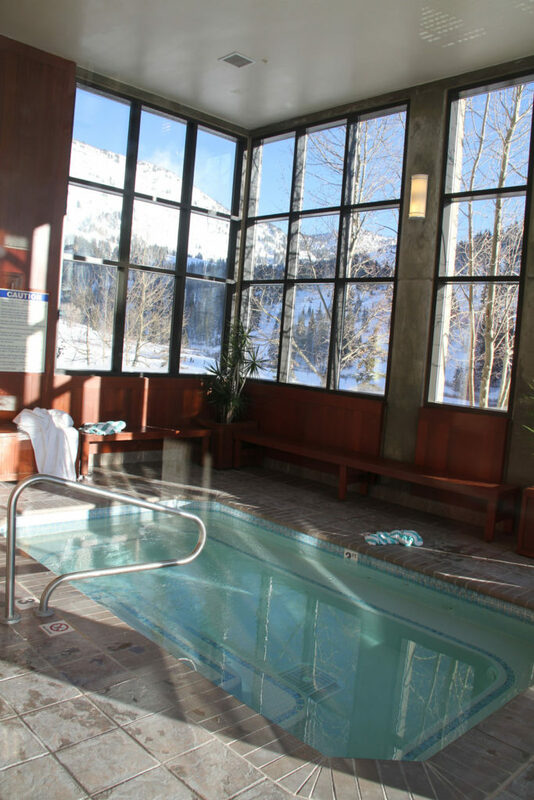 The best ski lodging at Alta is The Rustler Lodge, its luxury, with perfect views of High Rustler ski trail at apres ski in Eagles Nest, fine dining included in your stay, fireplaces, suites with ski views, and a posh service, even an outdoor spa hot tub. 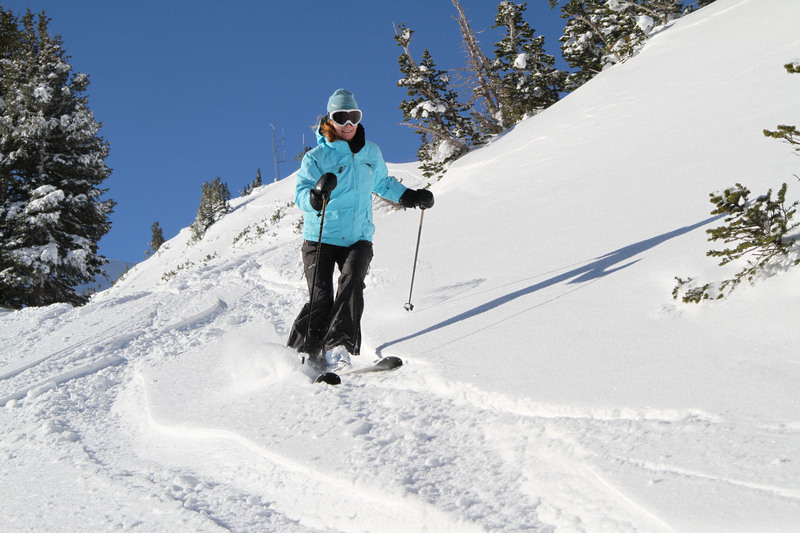 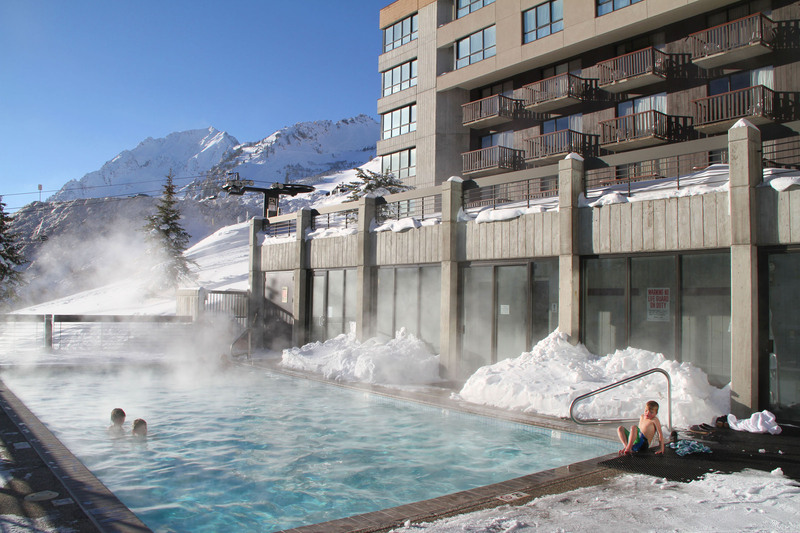 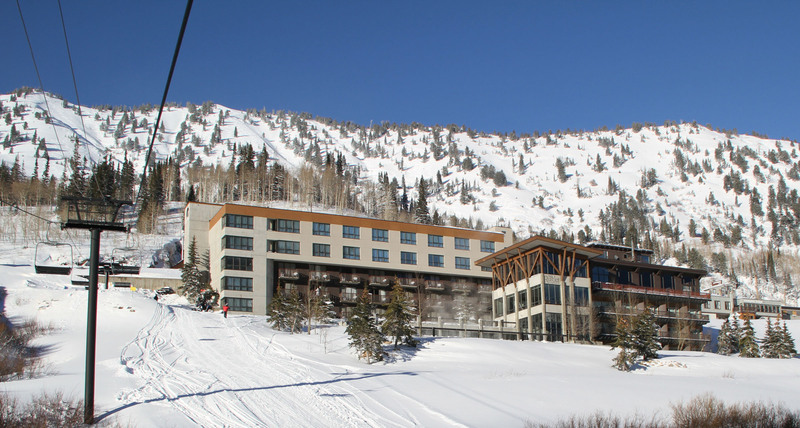 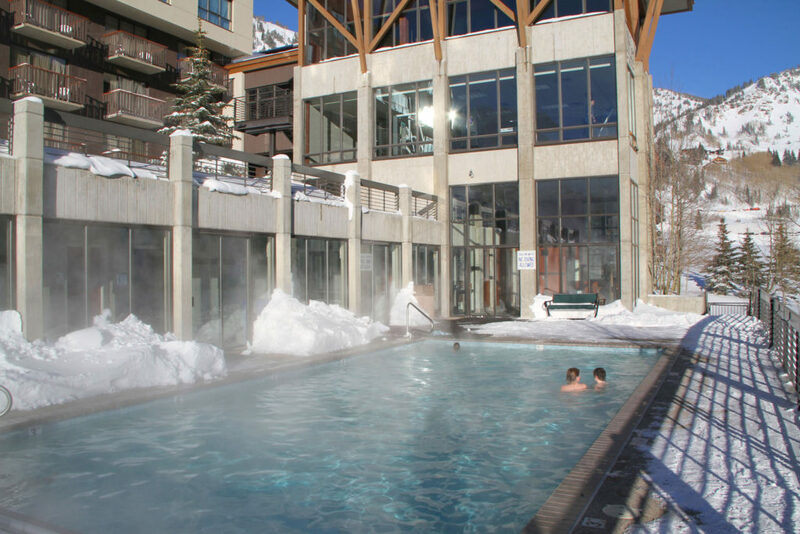 See our review of Rustler Lodge ski vacations at Alta. 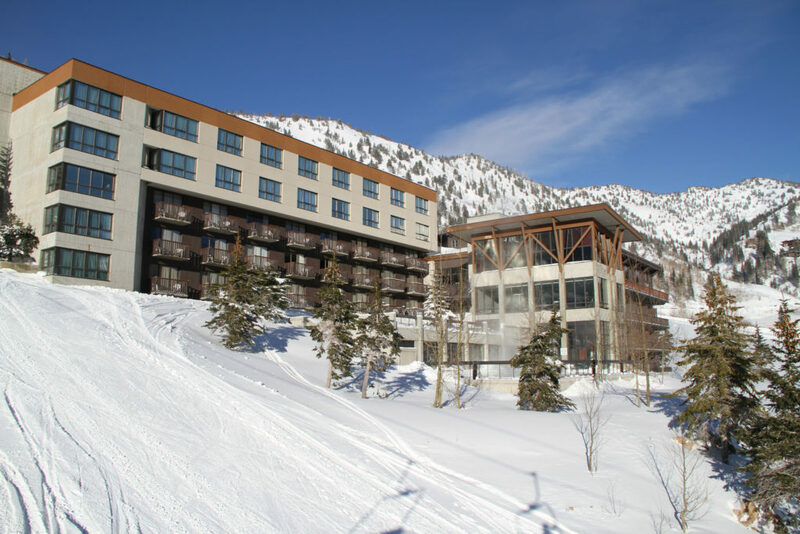 The newly renovated Snowpine Lodge at Alta looks swank, ski in ski out, but we have not yet reviewed this luxury ski hotel.